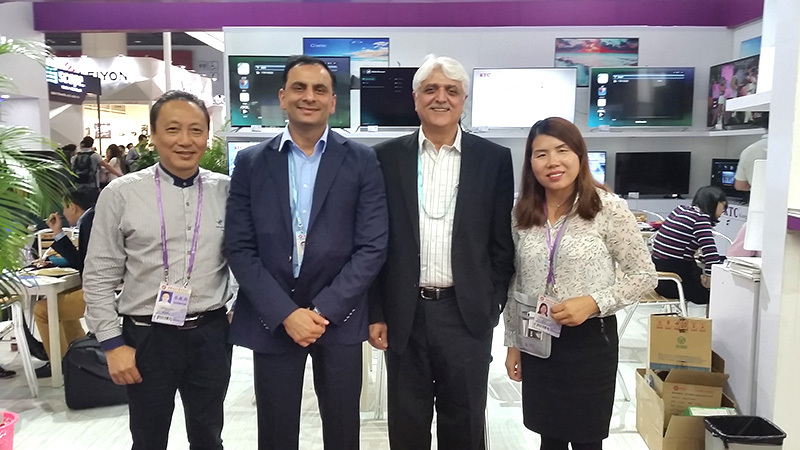 On Oct. 15, the 122nd China Import and Export Fair (i.e. Canton Fair), "barometer" and "vane" of Chinese foreign trade, opened in Pazhou Exhibition Hall. The Canton Fair attracted over 25000 Chinese and overseas enterprises with over 160000 kinds of products. KTC, together with suppliers from 210 countries and regions, participated in this four day fair from Oct.15 to Oct. 19. "This year, the global economy is improving — deflation in major economies tends to ease, market confidence is improving, global trade is recovering. We have successfully reversed the down momentum in foreign trade over the past two years and achieved rapid growth." addressed XU Bing, news spokesman of Canton Fair and deputy director of China Foreign Trade Center, on the opening ceremony of the 122th Autumn Canton Fair on the morning of 14 Oct.
341 companies from 17 countries and regions along "the Belt and Road" participated in the exhibition with 583 booths in the import exhibition area. 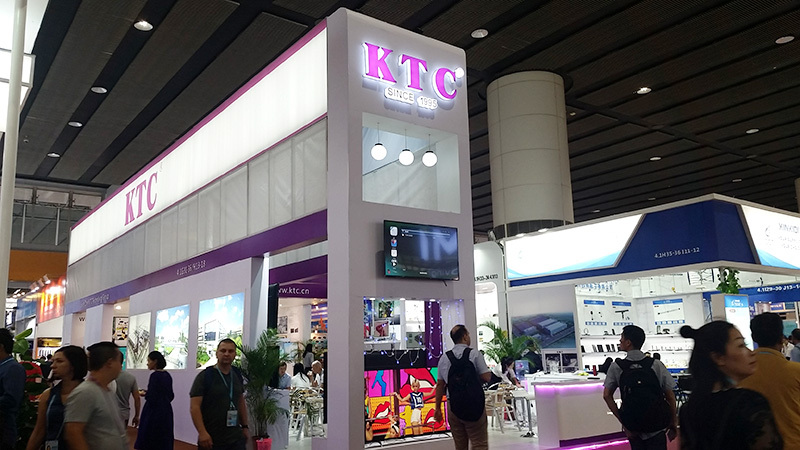 During the Canton Fair, KTC's products, featured elegant appearance design, excellent service and professional demonstration, received wide applause. 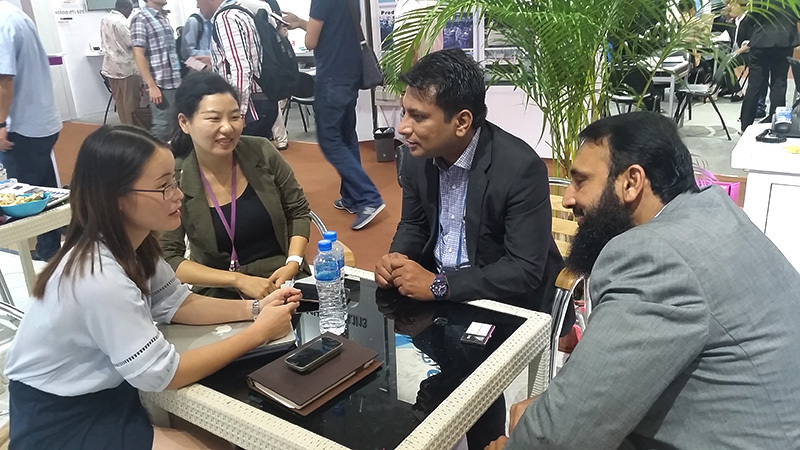 Through this Canton Fair, KTC showed her faith in "Science and technology improve life" and determination toward internationalization. 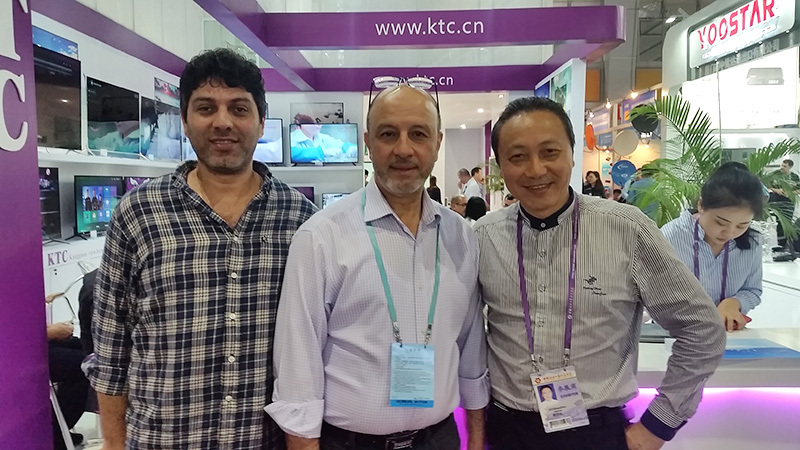 With utmost sincerity, KTC is looking forward to meeting with you and progressing with you.